You probably think I’m crazy even asking if Christians practice any form of Judaism. The vast, vast majority of both Christians and Jews would answer a resounding “no.” Only a tiny population of Jews and non-Jews in what is referred to as the Messianic Jewish and Hebrew Roots movements (they overlap somewhat but are hardly the same thing) even ask such a question. Moreover, only some of the people inside of those movements are considering or confused by the answer. But why even ask such a ridiculous question? First of all, I recently read such a question as it was floating by in the blogoverse and was intrigued by its audacity. One such church-going (non-Jewish) Christian says he regularly tells other people in his church that he practices “Messianic Judaism”. This is just a hair off from his possibly telling other Christians that he’s a “Messianic Jew”. I don’t want to be unfair or inaccurate, and this person did not refer to himself as a Jew, Messianic or any other kind. But as you know if you’ve been reading my blog for very long, I have a very definite perspective on What is Messianic Judaism. If you click that link, you’ll see that I don’t think it’s possible for a non-Jew and particularly for a Christian to actually “practice Judaism,” but apparently the question requires more attention. A good benchmark for the Nations? The seven laws of Noach are all things that can be derived from one place or another in the Bible, if not directly from Genesis 9. They form a sort of minimalist approach to ethical monotheism: believe in God, be a decent person, be kind to animals, and settle your disputes in court. Yes, I think that for believers there are additional standards and expectations. After all, the God-fearing Gentile believers were not just “sons of Noah.” Through Paul’s gospel, they considered themselves co-heirs to the messianic promises and spiritual members of the people of Israel. They fellowshipped with the Jewish believers, shared meals with them, and worshipped in their synagogues. They considered themselves spiritual sons of Abraham. Which brings us to a relevant point: Did Gentiles ever practice Judaism? The complete answer would probably turn into a book or at least a doctoral thesis on the subject, neither of which I have time for. The short answer is a kind of “maybe” as I see it (well, not really, but I’ll get to that). It all hinges on whether or not you believe that Gentles imitated literally every behavior of their Jewish mentors when learning to become disciples of the Jewish Messiah, and even if they did, what that behavior meant to both the Jews and non-Jewish believers involved. We see in Acts 10 that the Roman God-fearer Cornelius (who didn’t become a “Christian” as far as receiving the Spirit and water baptism until the end of the chapter) most likely prayed the daily prayers in the same pattern as the Jew. The ninth hour is about 3 p.m. which would be the proper time to pray the mincha or afternoon prayers. 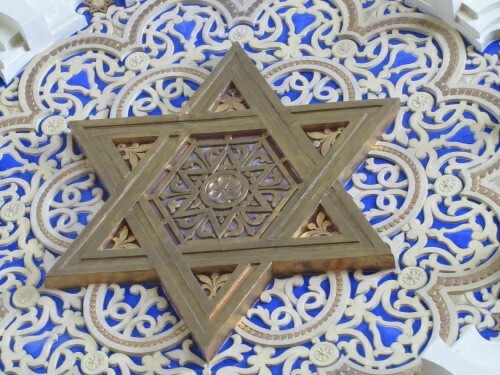 As Boaz said, the early non-Jewish disciples also very likely shared meals with their Jewish counterparts, which would have required that they keep a kosher diet, at least during those shared meals, and if, as Boaz said, they also worshipped in Jewish synagogues, then they would have prayed the same prayers (which were said from memory rather than through use of a siddur) and gone through the same “order of service” as the Jews. In fact, it’s likely that significant portions of the lifestyle of an “early Christian” would have been substantially similar to that of a Jewish person (disciples of the Jewish Messiah, or otherwise). No wonder now that Jews are rediscovering Jesus as the Jewish Messiah and Christians are rediscovering their “Jewish roots,” that we are also reviving something of that confusion in the present day (I’m speaking with some poetic license, since I don’t know if or to what extent Gentiles in the early church experienced any sort of “identity crisis” the way we see it in certain corners of the modern Hebrew Roots movement). I want to make it clear that many Gentiles in Hebrew Roots do not think they are Jews, nor do they intend on practicing any form of Judaism, so those who are “confused” represent a very small minority in Hebrew Roots. So, I’ll ask it point-blank. Did early Christians practice Judaism? In terms of actual worship and significant lifestyle behaviors, it probably looked that way to an objective observer (though we lack a lot of information about how early Christianity really worked relative to Judaism). They might have been mistaken by some for people undergoing the process of converting to Judaism. 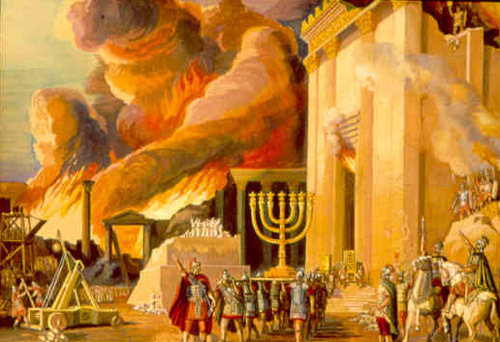 The Roman empire recognized Judaism as a valid religion and would allow Jews to cease work during the Shabbat and so forth, but “the Way” as it was practiced among the non-Jewish disciples, was not a legal religion in the empire, and it would have been extremely difficult for diaspora Gentiles to keep Shabbat as did the Jews, and probably observe many of the other obviously Jewish mitzvot as well, such as eating kosher and praying shacharit and mincha, if it meant ceasing work during the morning and afternoon prayers. Of course, after the destruction of the Temple and the exile of the vast majority of the Jewish population from Israel (renamed “Palestine” by the Romans), the first non-Jewish “bishop of the church” (certainly those exact words weren’t used to define the “office” of the head of the “Jerusalem Council” in those days) had to be elected. That, and many more events, resulted in the non-Jews taking administrative control over “the church of Jesus Christ” and within a few centuries (exactly how many centuries is up for grabs), the schism between what became Christianity and any form of Judaism was complete. At that point, no Christian was practicing any form of Judaism and any Jews who may have still, even secretly, acknowledged Yeshua as Messiah, would have done so as part of a completely Jewish religious life, isolated in the extreme from the Gentile Christian. As part of the research (such as it is) I did for writing this “extra meditation,” I read articles such as Who is a Jew and Definition of a Jew, but they don’t really respond to the question I’m asking. First of all, there may be a difference between being Jewish and practicing Judaism, though I’m sure the distinction is very fine and difficult to identify. 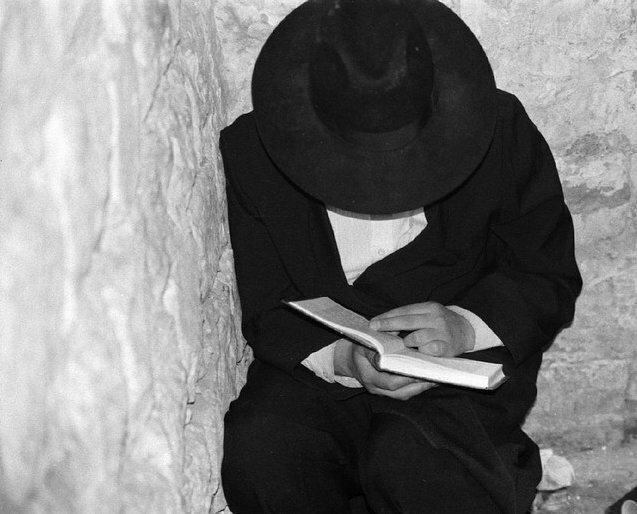 Then there’s the idea that we have post-modern Jews defining themselves without the “benefit” of the New Testament, thus they do not take into account any Apostolic material that might modify such definitions (and please keep in mind that Jews have every right to define who is a Jew and what is Judaism). The Gentiles in Hebrew Roots or worshiping in authentic Messianic Jewish communities seem to think they are the only non-Jews who have been attracted to and captivated by the Torah, but reading some of the comments in Rabbi Simmons’ article, I see that there is a significant number of us who have chosen the Noahide route and set aside Christianity/Hebrew Roots and Messianic Judaism as viable options. What is Judaism? Since Judaism is a people, a nation, and a religion, it’s difficult to say that just “behaving” like a Jew means you’re practicing Judaism. 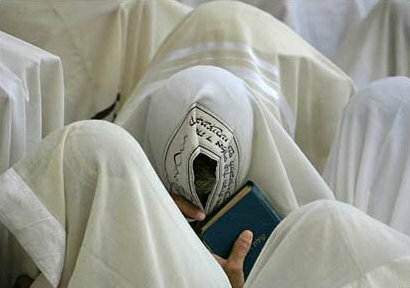 You, as a non-Jewish Christian or Noahide, may be worshiping alongside Jews in a synagogue setting, sharing their fellowship, and breaking bread with them, but it might be a bit of a stretch to say you are practicing Judaism in precisely the same sense as the Jew davening next to you. If a Jew, for example, were to visit a Christian church (say he was married to a Christian wife but maintained a Jewish cultural, ethnic, and religious identity), and prayed and worshiped God within that context, we wouldn’t say he was “practicing Christianity.” Of course, he wouldn’t be acknowledging Jesus as Messiah and Savior, either. I suppose on that basis, regardless of how we see those early, ancient Christians and what they were practicing in the synagogue, today, we Christians, even those of us who daven in the presence of our Jewish fellows in a (Messianic) Jewish synagogue, are not practicing Judaism, but worshiping God with the Jewish people who, in this case, have the same God as we do, and know the same Messiah as we do. I realize my little missive is not perfect, but I think I have made a reasonably good case for my point of view. Last spring during Shavuot, I worshiped in a completely Jewish synagogue context at Beth Immanuel Sabbath Fellowship. But even though the prayers were in Hebrew, even though we davened using a siddur, even though the Torah was read, and even through we all ate kosher meals prepared in a kosher kitchen, that doesn’t mean I was “practicing Judaism.” I was a Christian worshiping with other Christians and a good many Jews in a place where we were all welcome to share fellowship in love and peace, each of us just as who we were created to be by God. I think that Gentile Christians practice a faith affiliated with and dare I say (ultimately) wholly dependent on Judaism. Also, since Judaism and Jews are inseparable (at least in G-d’s eyes), this means that Gentile Christians are affiliated with and spiritually dependent on the Jews (even is some do not yet realize like or reject this reality). The Old Testament is a book written by Jews, for Jews and about Jews. Heck, even Jesus was Jewish. The God of the Torah (the first five books of the Old Testament) is the god of the Christians. Yet Christians do not practice Judaism, with the most obvious difference being that Jesus is the messiah of the Christians, not the Jews. Enjoyed your post. Thanks, John. Quick question though, if Jesus is the Messiah to the Christians, are you expecting a different Messiah for the Jews? Just asking. I don’t think they officially converted. I liked your point about behaving as a Jew. I think they would have followed the Noachide laws along with the Jerusalem Council rulings and the ethical teachings of Judaism. Those alone would be different from your average first century pagan culture I’m guessing. I can see how not having been official converts would make the split easier. In responding with “rejoicing” to the Jerusalem Council’s edict (approved of by the Holy Spirit) that the Gentiles were limited in their obligatory requirements, it seems that they were well pleased that they did not have to take on the full “yoke of Torah” as did the Jewish disciples. The Jews provided “the Way” and the core of the faith by which everyone else could have access to God, and yet both Jews and non-Jews remained distinct regarding covenant obligation while being equal in God’s love. In those sections of Deuteronomy, God wasn’t telling the Israelites that their obedience to the covenant of Abraham didn’t matter or that they stopped being Jews if they had circumcised hearts (through all of the exiles when the Jews were unfaithful, God never said they weren’t Jews anymore). He was admonishing them, saying that the external sign wasn’t particularly meaningful unless it’s accompanied by the internal circumcision. God was definitely not saying that the circumcision of a Gentile’s heart made him a Jew. This is what I’m talking about. At the end of the day there will be one body and one Spirit,,one Lord, one faith, one baptism, one God and Father of all who is over all and through all and in all. I understand this is difficult for natural born Jews to imagine, the Covenants and blessings that were intended for them going to someone who is not even a Son! I don’t say that with pleasure, I say it with a broken heart! Yes, you can call me “Jim,” Mike. My understanding is that it is for the sake of you and me that God caused a “hardness” to come upon Israel, but that hardness isn’t forever. In the end, as He has promised, He will redeem His people Israel, literally the descendants of Abraham, Isaac, and Jacob, along with as many from the nations as who will believe. I’m not ready to toss the Jews under a bus yet. Interestingly enough, having discussed the whole matter of “the switch” with Boaz at length, your assumption about them is incorrect. They didn’t make any theological shift to gain money and in fact, they lost a great deal of business. They knew what would happen before they made the announcement and could have kept their mouth shut, but they didn’t. If they wanted to “rake in the dough,” so to speak, they had a vast group of customers in One Law and the Hebrew Roots movement. You have the right to your own opinion of course, but I suspect your opinion isn’t fueled by first hand information.